Cute, fun, and easy. Paint your littles knuckles and let them punch. 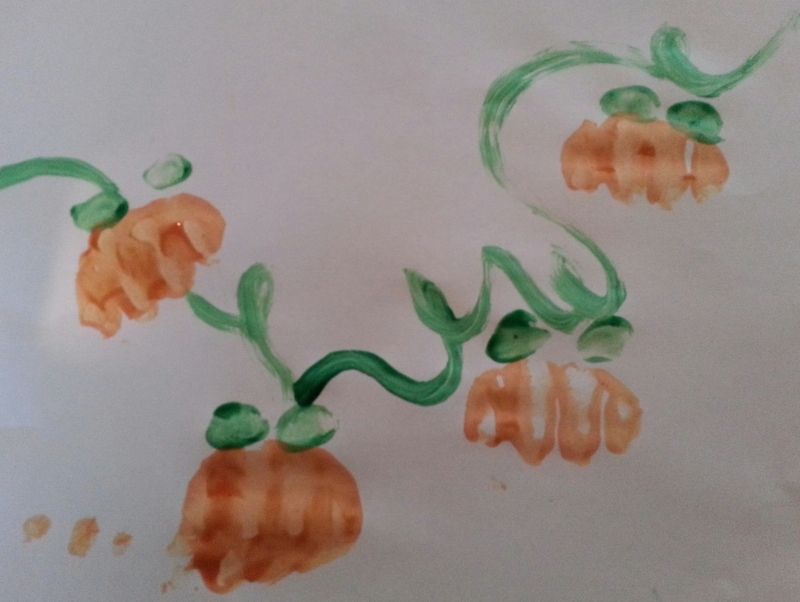 We also used our thumbs for the leaves, and I painted the vines. They loved this, especially when a told them to punch the paper!